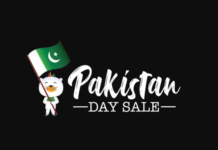 Mother Day Sale 2018 launched in big brands such as Daraz.PK, Chen one, Lime Light, Outfitters, and Edenrobe. Mother day is celebrated with full worthiness in the whole world. This special day all the children give a gift to the mother to prove their loyalty and love. However, to make this event even more memorable, different big brands launches special sales with a reasonable discount. Get a chance to wish your mother and give her a wonderful pleasant by Daraz, Chen One, Lime Light, Outfitters, and Edenrobe. Lime Light is a famous clothing brand offering a wide range of products for men, women, and kids. On this event, Lime Light brought exciting sale with 40% off on all the clothing and accessories brands. A wide range of Lawn clothing including stitched and unstitched, 3 piece, one piece and two-piece lawn suites are available. Also, the embroidered collection is really unbeatable and makes your shopping even worthier. Another popular clothing brand intended to make your event more special by offering valuable accessories at lowest prices. Edenrobe is offering a significant 30% off on all the accessories and clothing collection. The sale is applied not only for mother’s collection but also for men and kid’s collection. The collection includes stitched, Embroidered, unstitched and PRET alongside with all accessories. Chen One is the name of quality and variety. On this mother’s day, they are decided to amaze the people by offering 50% off on all the home and apparels products. The products include cushiness, bedsheets and bed covers. The whole Bed Sets are available under the range of Rupees 1500. 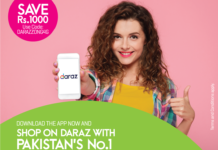 The online Store Daraz.PK doesn’t need words to describe. This famous online store is gaining significant popularity in South Asia. Daraz.PK is offering up to 70% off on all accessories offer your super mum. The sale is applied to beauty products, clothing, shoes, technology-related products, new mother apparels and many others. Another famous brand is planning to make your Mother’s Day even more special. Outfitters offer 30% off on entire stock. Their collection includes stitched, unstitched, ready to wear and embroidered clothing and accessories. You can order anything online or by visiting the shop. The offer is valid till 13th May 2018.